A while ago I watched a TV series “The Mentalist”. 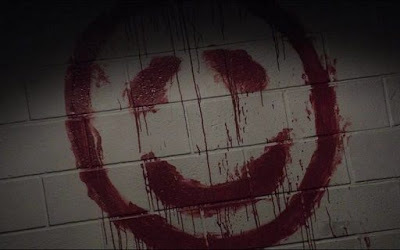 It is about a con artist named Patrick Jane, whose family was killed by a serial killer named Red John. So he joins the team of California Bureau of Investigation (CBI) as a consultant. This way he will help them to catch the serial killer and solve other cases. 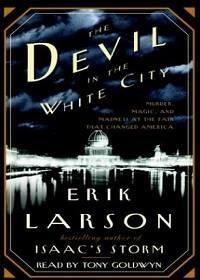 While watching this TV series I realized that never read books about serial killers. So I asked suggestions from Reddit group r/suggestmeabook. These are the books I was recommended. I want to expand this list. Maybe list can have 20 books. So if you also read fiction and non-fiction books about serial killers and liked them please leave title and author, in the comments. Or which one is your favorite. Discover the classic, behind-the-scenes chronicle of John E. Douglas’ twenty-five-year career in the FBI Investigative Support Unit, where he used psychological profiling to delve into the minds of the country’s most notorious serial killers and criminals—the basis for the upcoming Netflix original series. In chilling detail, the legendary Mindhunter takes us behind the scenes of some of his most gruesome, fascinating, and challenging cases—and into the darkest recesses of our worst nightmares. As part of the search for a serial murderer nicknames "Buffalo Bill," FBI trainee Clarice Starling is given an assignment. She must visit a man confined to a high-security facility for the criminally insane and interview him. That man, Dr. Hannibal Lecter, is a former psychiatrist with unusual tastes and an intense curiosity about the darker corners of the mind. 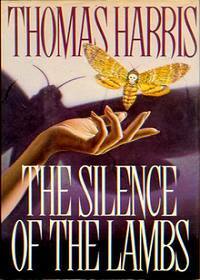 His intimate understanding of the killer and of Clarice herself form the core of Thomas Harris' The Silence of the Lambs--an unforgettable classic of suspense fiction. 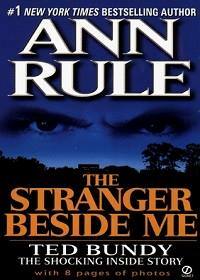 Utterly unique in its astonishing intimacy, as jarringly frightening as when it first appeared, Ann Rule's The Stranger Beside Me defies our expectation that we would surely know if a monster lived among us, worked alongside of us, appeared as one of us. With a slow chill that intensifies with each heart-pounding page, Rule describes her dawning awareness that Ted Bundy, her sensitive coworker on a crisis hotline, was one of the most prolific serial killers in America. He would confess to killing at least thirty-six young women from coast to coast, and was eventually executed for three of those cases. Drawing from their correspondence that endured until shortly before Bundy's death, and striking a seamless balance between her deeply personal perspective and her role as a crime reporter on the hunt for a savage serial killer -- the brilliant and charismatic Bundy, the man she thought she knew -- Rule changed the course of true-crime literature with this unforgettable chronicle. New York City has been thrown into chaos by the assaults of the Bone Collector, a serial kidnapper and killer who gives the police a chance to save his victims from death by leaving obscure clues. Baffled, the cops turn to the one man with a chance of solving them - Lincoln Rhyme. Left paralysed by a debilitating accident, ex NYPD cop Rhyme has to dig deep into the only world he has left - his astonishing mind - to have any hope of solving the case. With the help of a young police officer, Amelia Sachs, he starts to close in on the killer. But as he edges closer to the truth, the Bone Collector is closing in on Lincoln Rhyme himself. FBI agent Will Graham once risked his sanity to capture Hannibal Lecter, an ingenious killer like no other. Now, he’s following the bloodstained pattern of the Tooth Fairy, a madman who’s already wiped out two families. To find him, Graham has to understand him. To understand him, Graham has only one place left to go: the mind of Dr. Lecter. In August of 1969, during two bloody evenings of paranoid, psychedelic savagery, Charles Manson and his dystopic communal family helped to wreck the dreams of the Love Generation. At least nine people were murdered, among them Sharon Tate, the young, beautiful, pregnant, actress and wife of Roman Polanski. Ed Sanders' unnerving and detailed look at the horror dealt by Manson and his followers is a classic of the true-crime genre. The Family was originally published in 1971 and remains the most meticulously researched account of the most notorious murders of the 1960s. 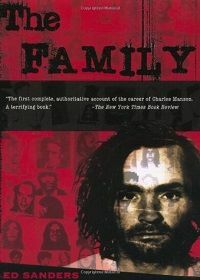 Using firsthand accounts from some of the family's infamous members, including the wizard himself, Sanders examines not only the origins and legacy of Manson and his family, but also the mysteries that persist. Completely revised and updated, this edition features 25 harrowing black and white photos from the investigation. A sexual sadist, he took pleasure in torture and murder. His first victims were a teenage couple, stalked and shot dead in a lovers’ lane. After another slaying, he sent his first mocking note to authorities, promising he would kill more. The official tally of his victims was six. He claimed thirty-seven dead. The real toll may have reached fifty. Robert Graysmith was on staff at the San Francisco Chronicle in 1969 when Zodiac first struck, triggering in the resolute reporter an unrelenting obsession with seeing the hooded killer brought to justice. In this gripping account of Zodiac’s eleven-month reign of terror, Graysmith reveals hundreds of facts previously unreleased, including the complete text of the killer’s letters. In the summer of 1969, in Los Angeles, a series of brutal, seemingly random murders captured headlines across America. A famous actress (and her unborn child), an heiress to a coffee fortune, a supermarket owner and his wife were among the seven victims. A thin trail of circumstances eventually tied the Tate-LeBianca murders to Charles Manson, a would-be pop singer of small talent living in the desert with his "family" of devoted young women and men. What was his hold over them? And what was the motivation behind such savagery? In the public imagination, over time, the case assumed the proportions of myth. The murders marked the end of the sixties and became an immediate symbol of the dark underside of that era. * All blurbs are taken from the Amazon summary. Daha öbxe duyduğum ama okuyamadığım bir kitaptı.